The property is amazing submitted by Cynthia M. - Jul 05, 2016 |Recommended: YesI love the layout of the apartment. I like that when I walk in there is a hallway to walk down and no windows next to the door. that is a major safety feature for me. The maintenance personnel are quick to repair things in the apartment. My only complaint would be that I can hear the footsteps of the people above me and also they vacuum and do laundry after 10 pm weekdays or before 7am on the weekend. This either wakes me up or keeps me awake longer. The property is well maintained and the pool fabulous. Very good property and a place to live.submitted by GRACE S. - May 26, 2016 |Recommended: YesPerfect place to live. I feel safe and comfortable living at Greystone.submitted by Tiffany B. 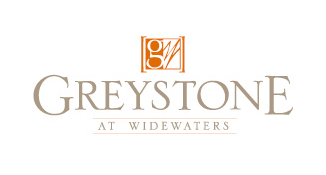 - May 16, 2016 |Recommended: YesI enjoy living at Greystone at Widewaters. The floor plan, sq footage, and friendliness of the leasing office staff were the main reasons for choosing this apartment complex. I feel safe and comfortable. The maintenance staff respond to my requests in less than 24 hours. The complex continues to make improvements for their patrons. I do think the grass could be cut almost weekly. It becomes very tall is come spots and I am worried about walking my dog because I have seen snakes. Also, the sound barrier between apartments is minimal. I hear so much noise from the apartment above me. I'm sure they are not doing anything out of the norm there is just little space between floors so you hear everything. My dog has had a hard time adjusting to it and barks often. A great place to live.submitted by John M. - Apr 27, 2016 |Recommended: YesI have been a resident of Greystone at Widewaters for over 18months. I have been very happy here. The complex is quiet and close to everything you need. The maintenance crew is very helpful efficient and the office staff is great. From my initial visit to look at an apartment through to my move out date due to a job change Amiee has been extremely helpful and professional to deal with. She answers questions promptly and completely. I cannot say enough good things about Amiee and the whole complex. I would recommend Lincoln Property's Greystone at Widewaters in Knightdale North Carolina to anyone who is looking for a positive rental experience. GREAT STRUCTURE AND GREAT FLOOR PLANS submitted by Hector B. - Mar 21, 2016 |Recommended: YesIS VERY PEACEFUL . Friendly staff and great amenities.submitted by Chasity J. - Mar 17, 2016 |Recommended: YesLove the playgrounds and community events. I love living here submitted by Lisa T. - Mar 01, 2016 |Recommended: YesThis is a great place to live. The location is amazing. Downtown Raleigh is a quick drive or Uber yet you are able to walk to a variety of restaurants bars shopping etc. There are tons of amenities and the staff are all super nice and always willing to go above and beyond to make sure you are satisfied.